SMIT LE; SMITH N; SCHÖNFELDT HC & HEINZE PH. 1998. 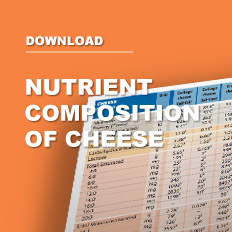 The nutritional content of South African Cheese. Dairy Industry Centre, ARC-Animal Nutrition and Animal Products Institute, Irene. US DEPARTMENT OF AGRICULTURE, Agricultural Research Service. 1998. USDA Nutrient database for Standard Reference, release 12. Nutrient data Laboratory Home page, http://www.ars.usda.gov/nutrient- data (Last update, May 2008).